There's an unexpectedly lucrative moneymaker for the royals. The Crown Estate’s 2017-18 report came out showing how the British royals generate income. It was disclosed that the family earned millions from offshore wind farms. Nearly 30 million Americans tuned in for Prince Harry and Meghan Markle’s royal wedding, proving that a fascination with the royal family is as strong as ever, yet the royals remain still slightly enigmatic. Many wonder about what sustains their family fortune, and how all of the sumptuous palaces are paid for. The answer: The Crown Estate, an $18.4 billion (£14.1 billion), 258-year-old U.K.-based real estate business with holdings reaching from Central London to the U.K.’s coast, which generates income for the royals. Curious about that income? Find out how rich Queen Elizabeth and her family really are. Although the Crown Estate collects rent on most of the high-end shops on London’s Regent Street, another profitable venture is leasing the seabed, or the ocean floor, to 69 offshore wind energy developers. It’s reported that 11 percent of the Crown Estate’s $17.4 billion (£13.3 billion) portfolio is energy, minerals and infrastructure. 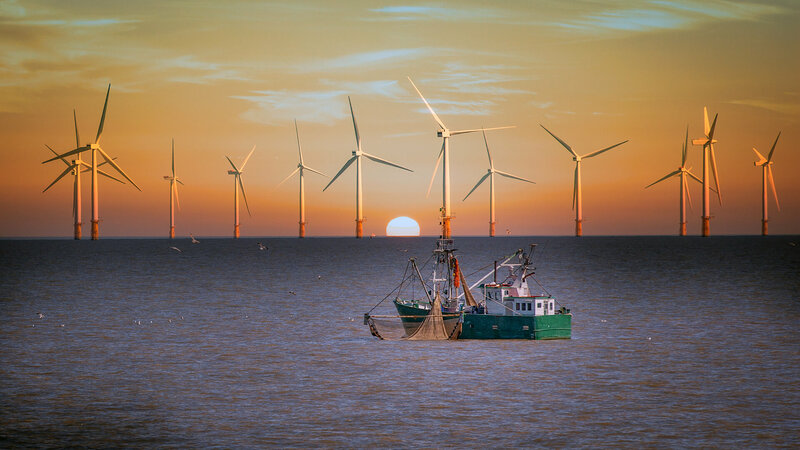 The offshore wind leases are not only a lucrative asset to the Crown Estate, as it was part of their $431.1 million (£329.4 million) contribution to the U.K.’s Treasury this year, but they also are a clean source of renewable energy. And during the last fiscal year, offshore wind supplied electricity to over five million homes. On average, a turbine a day was installed over the last year in the U.K. and development delivered over half of all the new capacity built in Europe. At this rate, this sector is on track to grow its contribution to the U.K.’s electricity supply 10 percent by 2020. Just as interesting as how the royals make money is how they spend their money. Richness isn't defined by income alone.